As keen anglers, we are always eager to know the best marks to fish or preferred baits to use on particular venues. A good idea would be to chase up local anglers from the area you wish to fish and seek out their advice on tackle, bait, tides and tactics. There are some top anglers out there that we know little about. One name that really springs to mind is Chris O’Sullivan from Tralee, Co.Kerry. 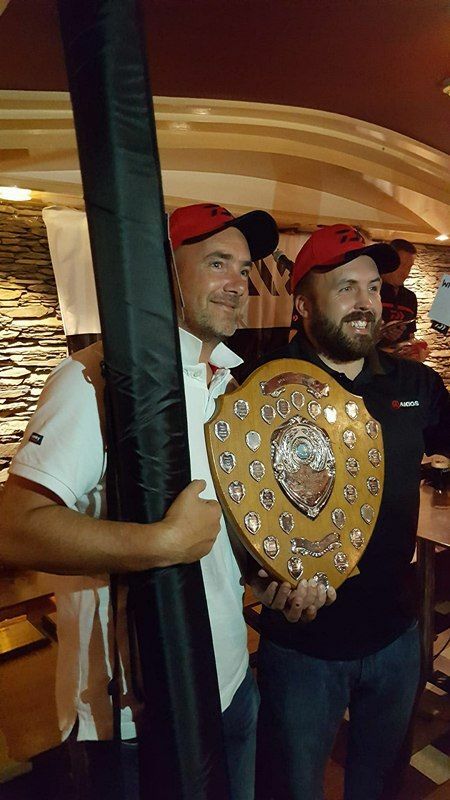 Chris, owner of Atlantic Tackle, individual and Daiwa Pairs winner of 2017 among many of his achievements, also captain'd the Irish Home Nations team 2017 and Pro Team member of Akios/Inova. I decided to catch up with the man himself, and tracked him down to a beach in North Kerry doing what he enjoys best, fishing a competition. I thought I would take this opportunity to pester him with a series of questions. Here's how it went. Q- When did you take up sea angling and when did you get into the serious match angling side of things? A-I have been sea fishing for as long as I can remember. I used to go along with my dad, but started at the age of 8 and loved every minute of it, reading all the books and magazines I could get my hands on. Match angling started at 16 even though I had fished many matches, that was the first time I tried out for Munster Provincial Team. Having been successful, my eyes were opened to true match fishing at a high level. It was clear to see I was well behind and needed to seriously "up my game". Q- Did you have any idols that you would aspire to be like or follow in their footsteps? 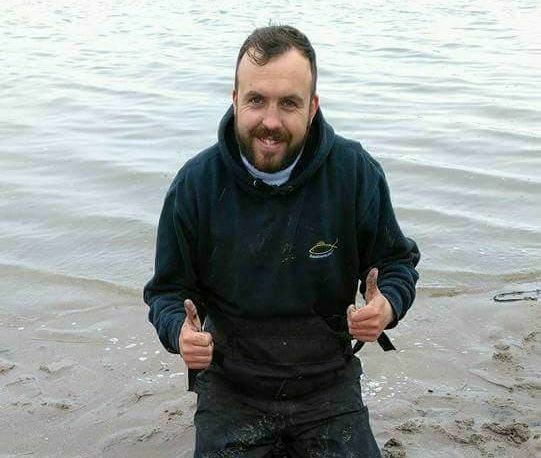 A-I am lucky enough to have started my angling career with Tralee Bay Sea Angling Club. This has long been one of the biggest clubs in Ireland and had an extremely competitive senior and junior section. At this time there were normally between 40 and 60 at a club match with 70 plus members. The senior anglers were very decent and the majority always helped out young anglers. Colm McDaid, Mike Hurley, Mike Wall, Martin Conway, Tim Hartnett, Martin Hurley, Jack Lacey, Richard Kelter and Liam Griffin were all anglers that I remember helping me at various stages, and my goal was to be able to compete with them. Special mention has to go to Philip O’Sullivan (no relation) who dedicated many many days off, driving me and Stephen all over the country to juvenile competitions. Q- Have you any nicknames? A-Not really any nicknames that can be shared with the public lol, but when younger playing football the coach used to call me Sully or Sull and it stuck pretty well. Q- What is the rod and reel you use most? A-I tend to use a lot of different set ups when I am fishing. As a match angler it’s important to be able to change up to suit the conditions or scale down when needs be. As its mostly clean sandy beaches I fish, I use my Grauvell Competition 2 and Shimano Aero Technium with as low diameter line as I can get away with. Q-Do you do any other type of fishing, what is your favourite type of fishing? A-I do a very small amount of river fishing with my father Connie. Personally it drives me mental because I seem cursed not to catch a salmon, but dad likes it so I go along. I love fishing for Wrasse off the rocks but it’s something I don’t do enough of. It’s a great rush to feel the power of the Wrasse taking your bait or lure. It’s an awful pity they don’t grow to 10lb regularly. The feeling of finding a piece of rock to fish from that possibly nobody has fished before let alone been to is a grand thing. It’s as close as us anglers get to the wild. 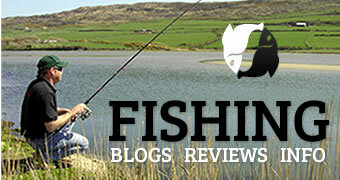 Q-what’s your favourite fishing venue? 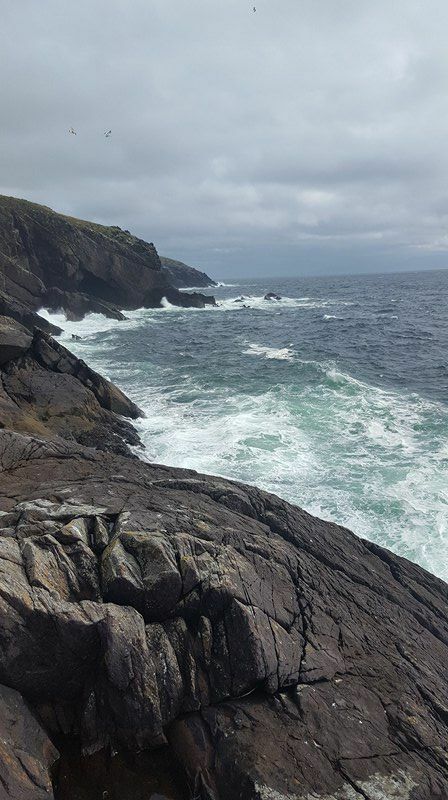 A-My favourite fishing venue tends to change around a bit but when it comes to pleasure fishing, a day spent rock-hopping along the rugged coast of Slea Head on the Dingle Peninsula in County Kerry is truly unbeatable. Wrasse and Pollock are the main stay but because of its size it’s an area that’s mostly unfished. Q-What is your best or biggest catch? 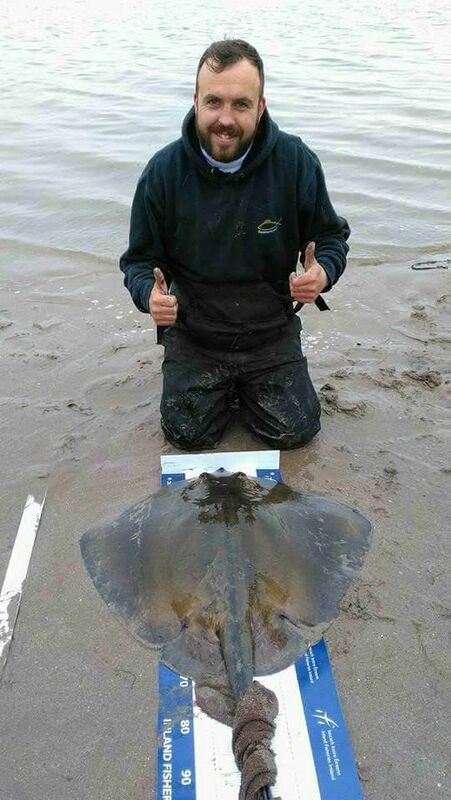 A-My biggest and best catch is a Stingray from Tralee Bay. After about a 15 minute fight I landed a monster female of 50lb 4oz. It’s certainly my biggest but what made it my best was the fact it was during the Annual Tag A Ray Competition held in Tralee Bay. The Ray was tagged, photographed and released to hopefully help us understand more about the lives of these beautiful Rays. I also managed to win the competition and the pools that weekend so it’s definitely my best fish as well. Q-What is your favourite all time bait? A-My all time favourite bait would have to be the humble lugworm. Some of my best nights fishing have come late on a Friday night on storm beaches in Brandon Bay. Lugworm has taken the most of my Bass on those nights, for that reason they will always keep a fond place in my tackle box. Q-What made you open your own tackle shop? A-In our area the match angling scene has always been quite vibrant with club matches often reaching over 40 anglers. This led to quite an enclosed attitude with only a few anglers fishing competitions outside the county. When they did, new ideas and tactics were always brought home. This led to opening my own little shop to try keep myself ahead of the curve and provide somewhere for the local match anglers to get specialised match tackle and bait. Q-What is your greatest achievement in fishing so far? A-My greatest achievement so far has been captaining my country at the Home Nations in Wales earlier this year 2017, followed closely by Daiwa Pairs and the All Ireland Open also known as the Jimmy Smith. The feeling of representing my country as captain was a very proud moment and although things went badly for the team, I’m eager to get back into the international fold. 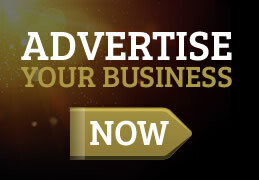 Q-Of all the matches that you attend is there any you would recommend and want to see more anglers try to attend? A-There are some excellent competitions around the country and excellent clubs too, doing Trojan work to keep the match scene alive. 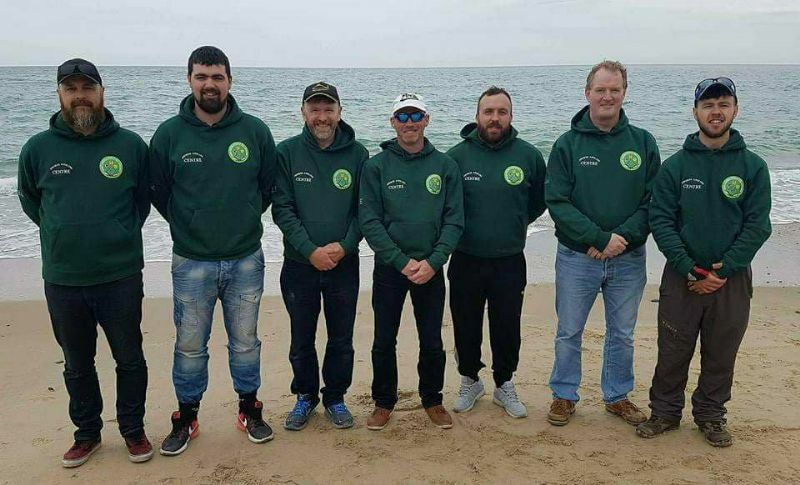 My favourite competitions are the Tronixpro Winter Beach Festival held in Wexford each January and the Daiwa Irish Pairs held in Dingle, County Kerry in September. Both are fantastically competitive and draw the top match anglers from around the UK and Ireland. As the clubs are the life blood of the sport I’d be delighted to see the local matches up and down the countryside being attended better, especially by junior anglers who deserve the same amount of support I got as a young angler growing up. Q-Where do you hope to take your fishing career, i.e. captain Irish Team for Home Nations, if possible would you look at world team? A-I suppose a fishing career is a lot like a professional work career. Some days it’s all guns blazing and aim for the top and some days I think it would be easier to just enjoy pleasure fishing and chasing specimens. The match scene is a real buzz though and the better I do the more I want to achieve. Seeing the world rankings come out every year I certainly would like to see my name on the list. This of course is a long long road and requires an extreme amount of effort especially in Ireland where the fish-off system is so competitive. After spending time questioning Chris (Sully) he was very helpful, full of information, never kept anything hidden and always willing to help anyone. If you are ever down in Co.Kerry give Chris a shout or pop into his shop. So i will leave him where I found him on a beach doing what he loves... fishing....tight lines, Karen.